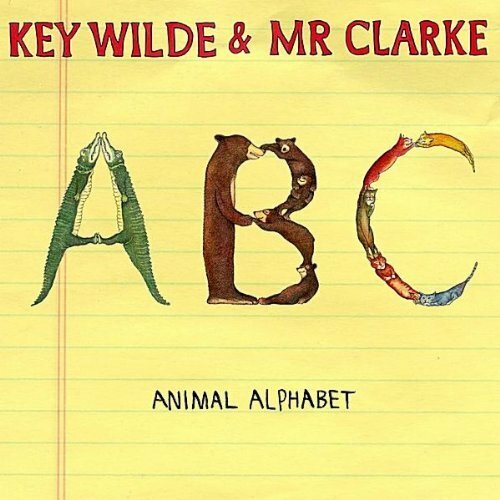 “Animal Alphabet” from Key Wilde & Mr. Clarke presents a beautifully illustrated video with all original artwork done by Key Wilde. Once you get past longing for a giant poster of it all, you realize how punk the song is. It rocks and I love the literary approach they take in describing each animal. Although there are many renditions of the alphabet song out there, none have an “…unusual unicorn in his underwear.” I like how the children chime in at the end of the song singing the alphabet in reverse which is always a fun game to play (even as a grown-up). After listening to this song, you can be sure your kids will learn their letters with a smile! Kids 0-4 should get a kick out of this artistically arranged animal alphabet adventure. You can learn more about Key Wilde & Mr. Clarke at the Little Monster Records site.